Ever since the draft the Dallas Cowboys have appeared content to roll into Training Camp 2016 with Kellen Moore as their No. 2 quarterback, but according to a report, this could change if the Tampa Bay Buccaneers decide they’d like to part ways with their backup, Mike Glennon. According to Luke Rodgers of 247Sports, the Cowboys have a standing trade offer to the Bucs for Glennon’s services, and actually tried to trade for him on Draft Day. Per the report, that deal would have had the Cowboys sending a pair of third round picks, one in 2016 and one in 2017, to Tampa Bay. Glennon was drafted by the Buccaneers out of North Carolina State just three years ago, in 2013, but he didn’t attempt a single pass last season as No. 1 overall pick Jameis Winston took the reins for the Bucs. 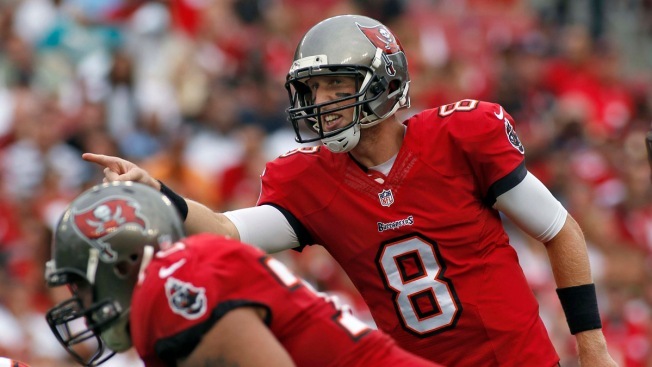 In three seasons, Glennon has completed 58.8 percent of his passes for 4,025 yards, 29 touchdowns and 15 interceptions.